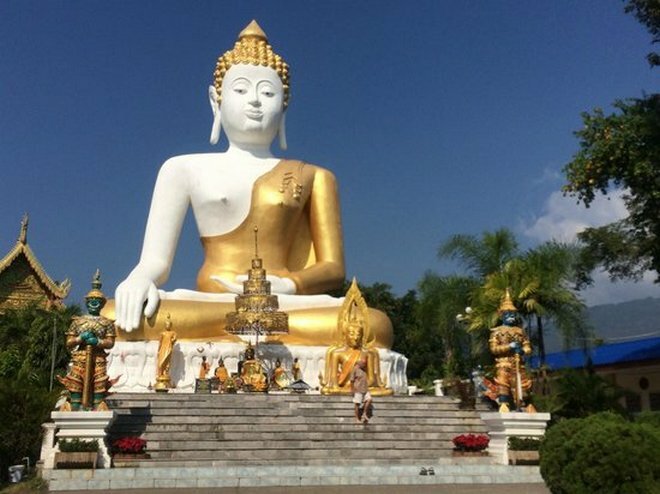 Vientiane Capital’s Buddha Park (Wat Xiengkhuan) has just received a makeover. How refreshing! Visitors will now be able to stroll around the park in clean, paved cement pathways as they enjoy the breathtaking sights of the amazing sculpture park with more than 200 religious statues. Travelers will also appreciate the improved lawn and gardening work made within the vicinity. Upgrades are soon to be made to the front parking area as well. According to many tourists, the ideal place for a great Instagrammable photo-op is from the top of the giant gourd structure which is approximately three stories high. The entrance is designed to resemble a demon’s mouth (about three meters high) with a stone ladder inside leading to a magnificent view of the entire park. According to Visit-Laos.com, Buddha Park Vientiane was built in 1958 by Luang Pu Bunleua Sulilat, a monk who studied both Buddhism and Hinduism. This explains why his park is full not only of Buddha images but also of Hindu gods as well as demons and animals from both belief systems. The most outstanding ones include Indra, the king of Hindu gods riding the three-headed elephant (also known as Erawan and Airavata), a four-armed deity sitting on a horse and an artistic deity with 12 faces and multiple hands, each holding interesting objects. They are all equally impressive not only because of their enormous size but because they are full of fascinating details and interesting motifs. Unlike neighbouring Chiang Mai, Lampang province has little in the way of fancy resorts or stylish restaurants to entice sybarites and well-heeled visitors. Small as it is peaceful, this northern province is a haven for culture buffs and disciples of the slow life. Rich in cultural heritage and proud of its glory days, Lampang is a destination that cries out to be discovered. In fact, Lampang was first to enjoy much of the progress that came from Bangkok, the capital, to Thailand’s North. The railway, for example, arrived at Lampang in 1915 and the service to the North ended here for almost 10 years before extending to Chiang Mai through the Khun Tan Tunnel. The Bank of Thailand also opened a branch here to attract business in the North. The Public Relations Department built a television broadcasting station in Lampang, making the province a gateway of information. The province also boasted a thriving tobacco business and was for decades the centre of the teak industry – as evidenced by the lumbering elephants at its Thai Elephant Conservation Centre. Baan Sao Nak, the “house of many pillars”, offers a picture of the wealth of Lampang’s teak barons. 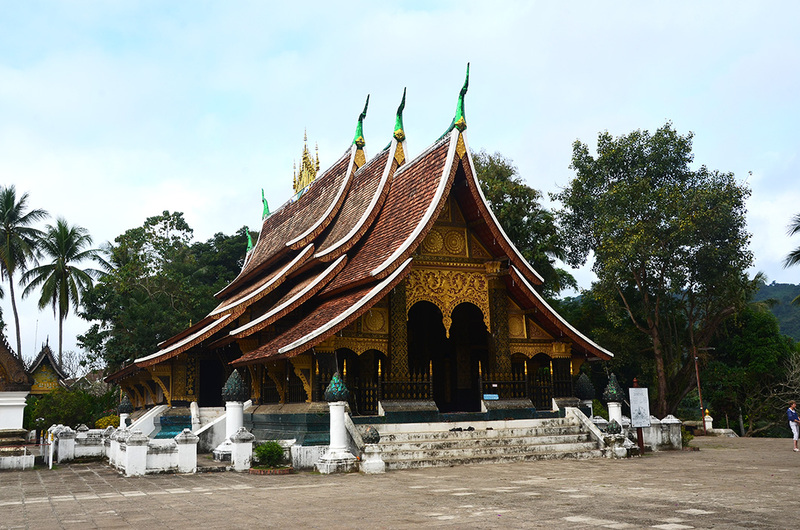 Built in 1895 by rich and respected Burmese log trader, Maung Chan Ong, the traditional wood house boasts 116 square teak pillars. It served as the family home for decades before being turned into a local museum. The entire house is furnished with mildly interesting Burmese and Thai antiques and pays testament to the lavish life of Lampang. Two kilometres south of Baan Sao Nak is Wat Srichum, the largest Burmese-style temple in Thailand. 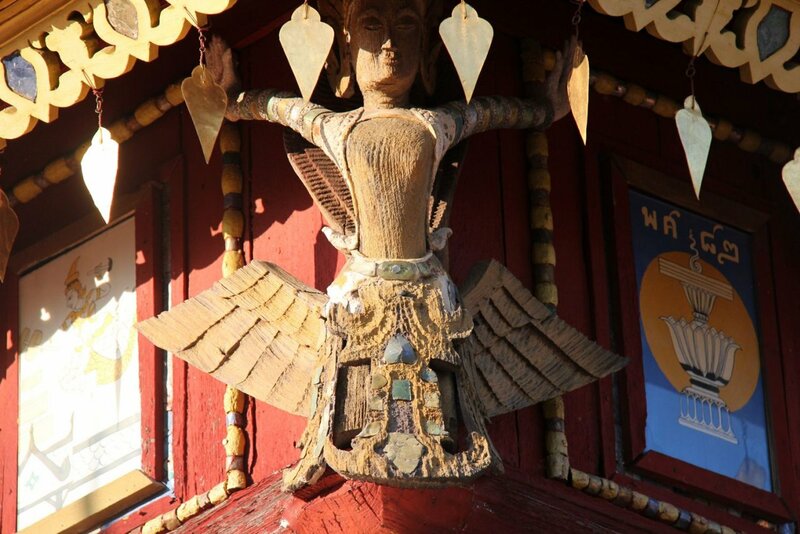 Home to a pagoda and chapel hall, the temple was built by a rich Burmese teak trader towards the end of the 19th century. Legend has it that U Maung Gyi, or the “big boss” as the Burmese tycoon was known, brought the finest carpenters from Mandalay in Central Myanmar to build the main viharn (ordination hall). Teak carvings and decorations of delicately and exquisitely engraved woodwork reflect the craftsmanship of these masters. “The walls, ceiling and wooden pillars are traditionally lacquered and covered with gold leaves,” says the local guide, directing my attention to the interior walls. 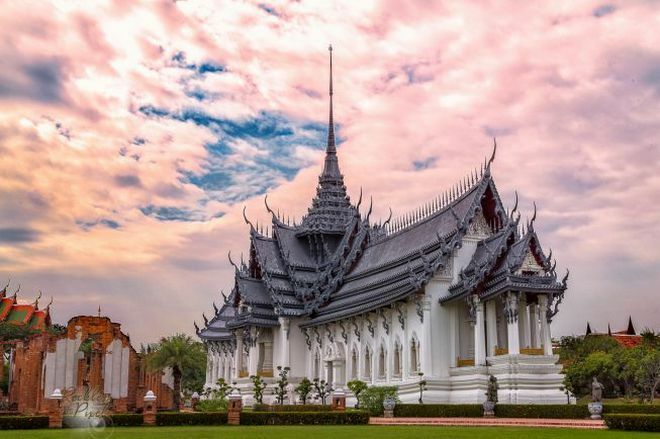 Surrounded by a wall and accessed through a large, elaborately decorated entrance gate topped with a Burmese Pyatthat roof, Wat Sri Chum has been declared a national treasure by the Thai Fine Arts Department. 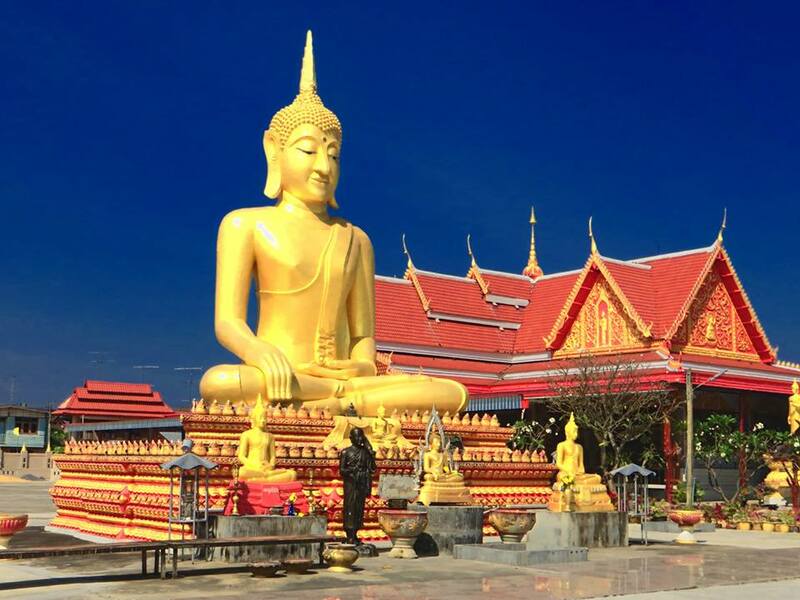 One of the finest temples in Lampang is Wat Lai Hin, 40 kilometres west of Wat Srichum. Small yet graceful, the temple is a diamond in the province’s crown. The arched entrance, with elegant plasterwork depicting small angels and guardians, was the prototype for the entrance of Wat Phrathat Lampang Luang – the city’s most sacred pagoda. “This small viharn with its multi-tiered roofs makes a bold statement about Lampang architecture,” says the local guide. 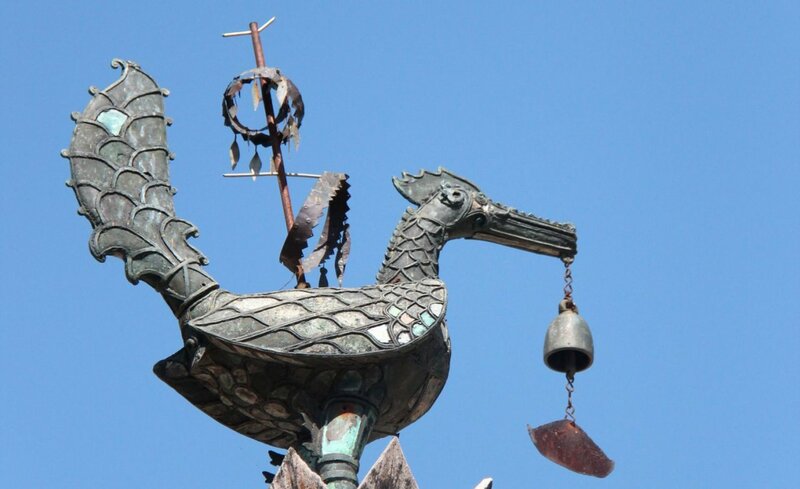 “Many experts regard it as finer than Chiang Mai architecture.” A tall pillar with a swan on top in front of the viharn pays testament to the Burmese influence. 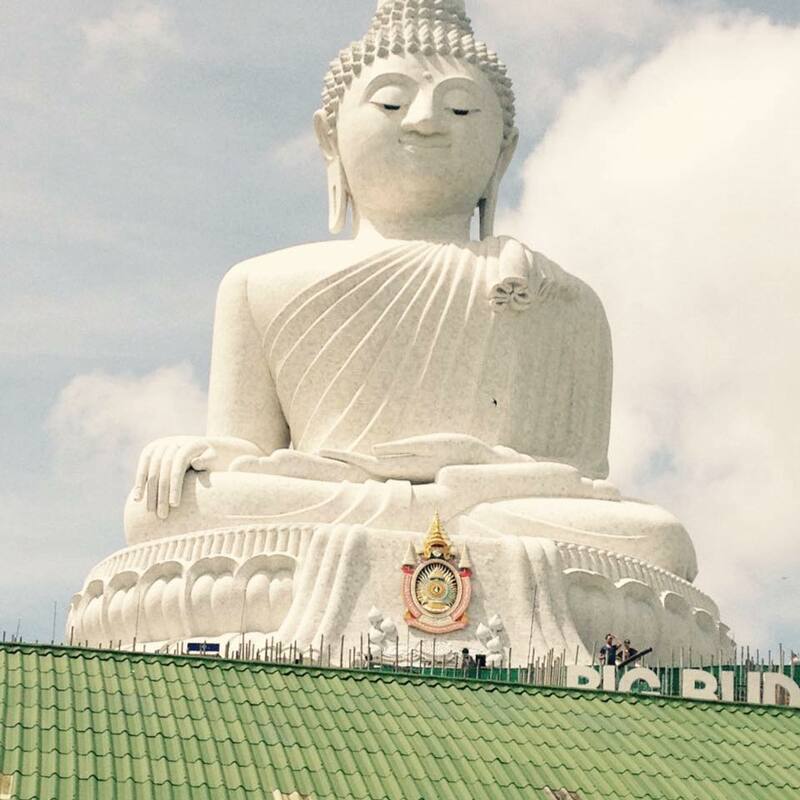 From Wat Lai Hin, we head to Wat Pongsanuk on the bank of Wang River. 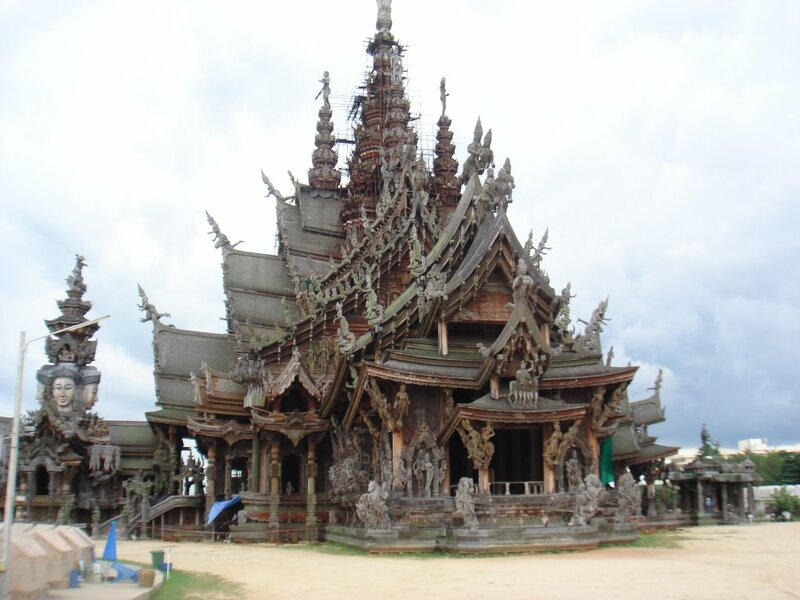 Built in 1886 by the Shan-speaking community in Lampang, the temple won Unesco’s Award of Merit 2008 for restoration. Although it lost much of its character during the renovation, the small, open-sided building stands on a mound is one of the few remaining local examples of original Lanna-style temple architecture. To get an idea of what it was like previously, look at the carved wooden gateway at the entrance to the north stairway. 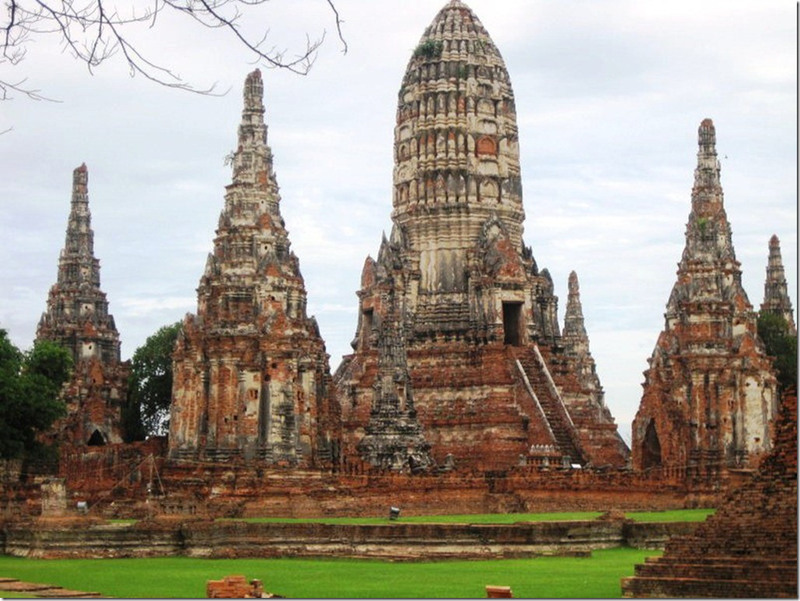 For the history buff, a trip to Lampang is not complete without a visit to Wat Phra That Lampang Luang. 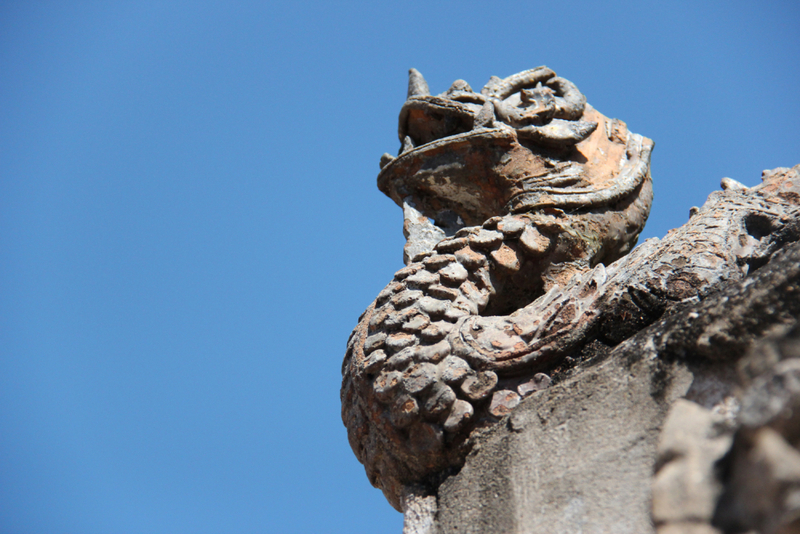 Perched on the expansive mound, the visitor has quite a climb up the Naga stairway to reach the main entrance – which is inspired by the arched gateway of Wat Lai Hin. It’s worth checking out for fine plaster designs. The main viharn houses a bronze Buddha statue called the Phra Chao Lan Thong. At the end of the viharn is a golden pagoda in Lanna architectural style containing a Holy Relic of Lord Buddha. The murals tell the tales of Jataka through paintings of serpents, elephants and Lord Buddha as well as the stories of Ramayana and some Lanna folktales. Despite its size and provincial mien, Lampang in many ways maintains a slow Lanna pace. 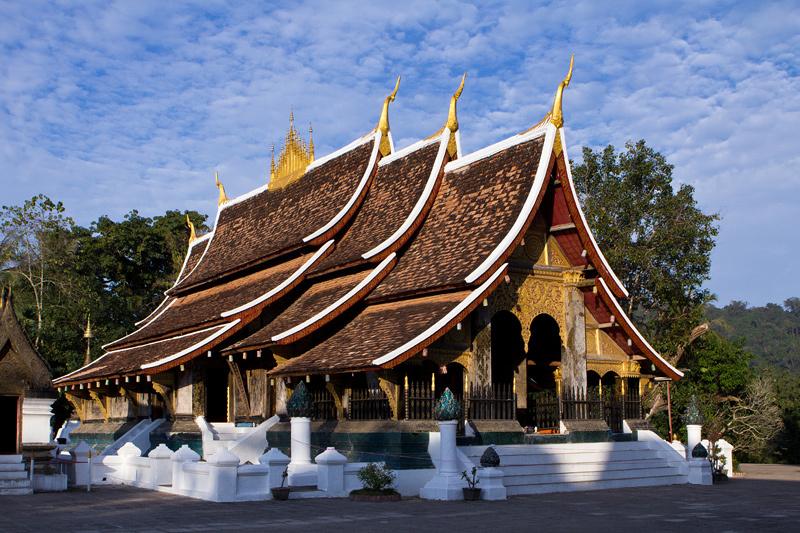 Unlike the big city like Chiang Mai, it charms visitors with its old-fashioned Lanna culture. Whether you choose to move around in a horse-drawn carriage, Lampang’s signature mode of transportation, cycle or walk, you’ll be delighted with the sense of discovery. Sirilanna Hotel boasts classy traditional Northern Thai decor, just 300 m from Chedi Luang Temple and one km from Chiang Mai Night Bazaar. Air-conditioned rooms come with free Wi-Fi and a private spa bath. Hotel Sirilanna is just 3 km from Chiang Mai International Airport. Local attractions like Thapae Gate and Sunday Walking Street are within a 10-minute stroll from the hotel. Fitted with wooden furnishings, the spacious rooms at Sirilanna come with flat-screen cable TVs and DVD players. Each also has a well-stocked minibar and tea/coffee making facilities. Sirilanna Hotel features a large outdoor pool with sun loungers, perfect for guests to enjoy the sun. They can also enjoy a quiet evening at the hotel library. Guests can try a variety of local dishes at Sirilanna Restaurant or enjoy drinks at the bar. Room service is available on request. This is our guests’ favourite part of Chiang Mai, according to independent reviews. 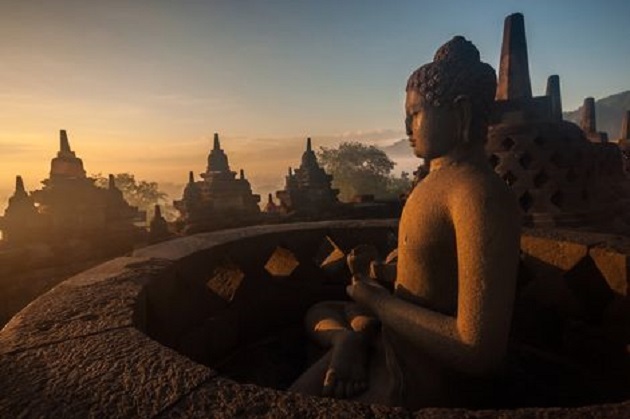 This Balinese temple stands on a rock in the sea and that delivers beautiful pictures! Pura Tanah Lot means literally “Tanah Lot temple” but what is a Tanah Lot? Tanah Lot is a rock formation in the sea off the southwest coast of Bali. Pura Tanah Lot is overall a temple on a rock formation in the sea of Bali. And that makes this temple so special! Then why do not you might wonder: the temple was already there when Tanah Lot was still attached to the mainland? No! One Dang Hyang Nirartha claims to have built the temple when Tanah Lot was already an island. 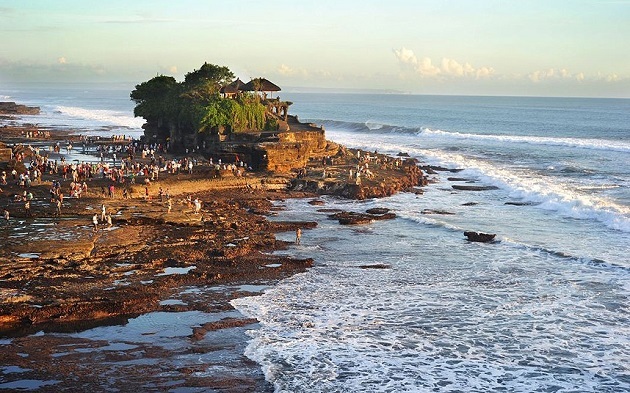 According to him, Tanah Lot was a sacred place to be worshiped from the Balinese sea gods. 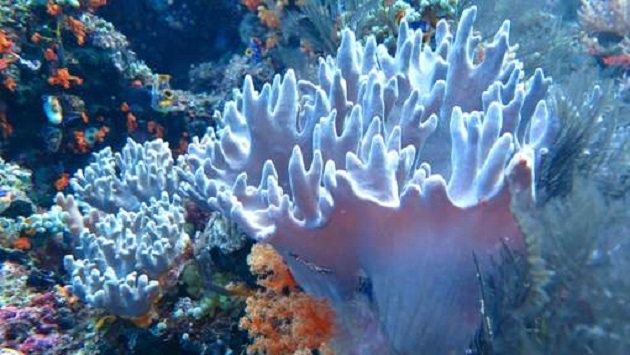 It is one of the seven sea temples on the south coast of Bali. From any sea temple is to see another sea temple. Tanah Lot is located about twenty kilometers from Denpasar, capital of #Bali. 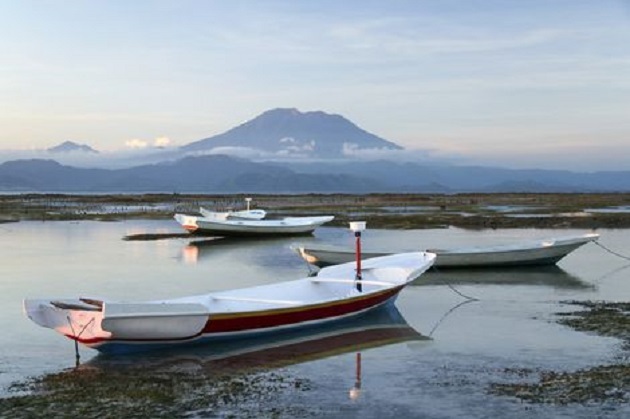 Bali is an Indonesian island located in the westernmost end of the Lesser Sunda Islands, between Java and Lombok. 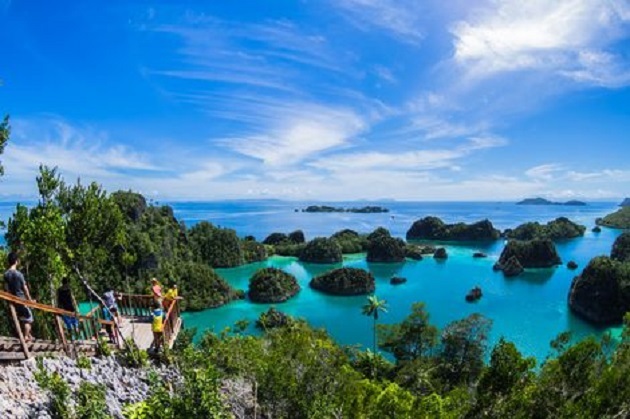 With miles of sandy beaches, towering volcanoes, flowing rivers, and lush tropical forests full of exotic wildlife, Bali has been the favorite destination for locals and international tourists for ages. 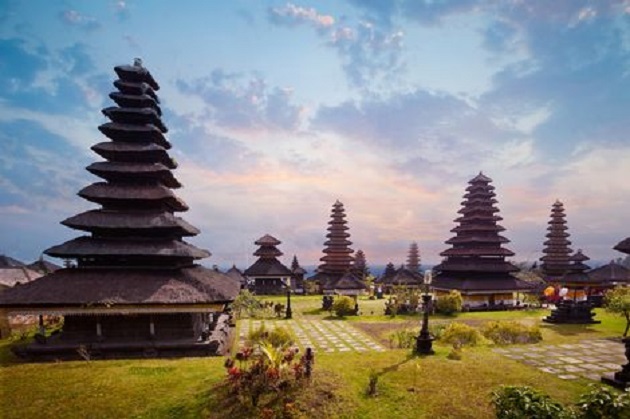 Experience Bali’s rich cultural heritage through tales from the Ramayana, while shopping for woodcarvings, silver work and paintings in the artisan villages, or through a traditional Barong dance. 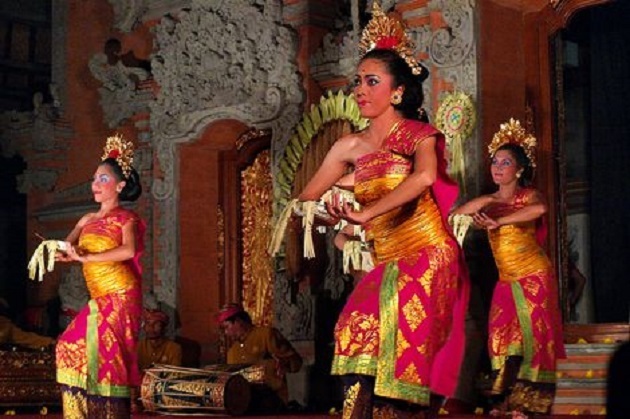 Theater and dance are an integral part of Balinese culture. Balinese dances are a very ancient tradition, part of the religious expression in Bali. There are various categories of dance that are based on separate religious functions and include different types of performances. Barong includes a contest between opposing forces of chaos and destruction; Legong is characterized by intricate finger movements and Kecak is performed by a circle of 100 or more performers. Regularly scheduled performances can be found throughout the year. Surf’s up in Bali. Lakey’s Peak, Lakey’s Pike, Periscopes and Nuga Dora are just a few of the classic Balinese waves. Depending on the time of year, you’re sure to catch big waves somewhere on the island. In 1963, Mt. Agung erupted, just as the ceremony of the 11 forces was being performed. Take a tour of Mt. Agung and Mt. Batur where a volcanologist will help you to understand the connection between them and Krakatau, Mount St Helen’s and Mount Fuji. 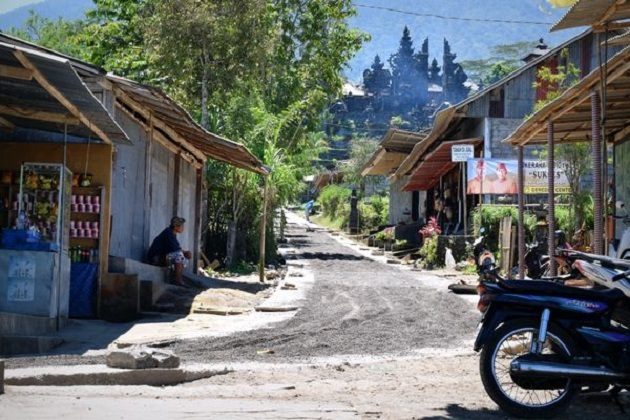 Temples are everywhere in Bali and they remain a focus of life throughout the island. 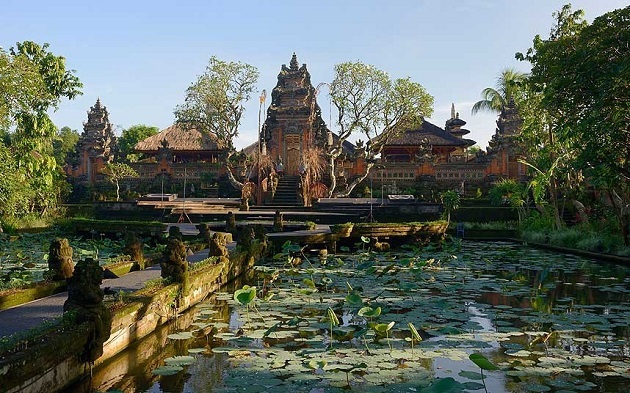 Visit the Besakih Temple, the largest and most important Hindu Temple in Bali or Sebatu, the temple with the holy springs. Like the food of other regions in Indonesia, Balinese food is rice as the central dish served with small portions of spicy, pungent vegetables, fish or meat and served almost always with sambal or chili paste. 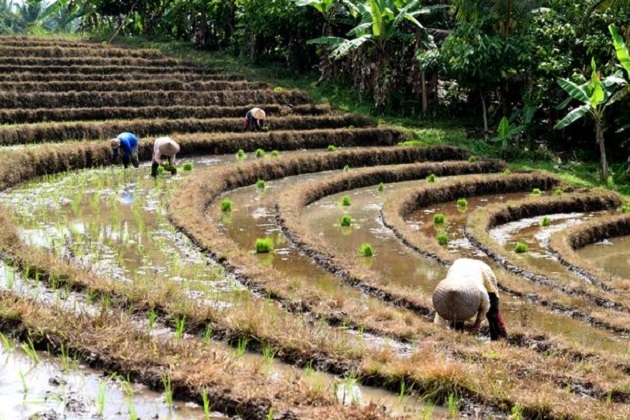 Though the tourism industry has brought international fare in Indonesian restaurants, local food still remains in the culinary spotlight. Balinese still keep to their traditional culinary roots especially in a temple ceremony, Balinese birthday Otonan, or when hosting special guests. Traditional Balinese dishes you should not miss include babi buling, pieces of a roasted suckling pig and the Bebek Betutu, a smoked stuffed ducked wrapped in bamboo leaves. Enjoy a most distinct shopping experience in Bali. Shop for fine art and handicrafts which include antiques, semi-antiques and modern furniture, a variety of paintings, delicately crafted gold and silver jewelry, wood and stone carvings, masks, woven and dyed fabrics and so much more. Popular shopping centers are Geneva, Kuta Square, Bali Galeria and the huge, fully air-conditioned beachfront Kartika Discovery Mall. The Indonesian Rupiah (Rp) is the official currency of Indonesia. Many stores and restaurants also accept major credit cards, which usually offer you a good exchange rate. 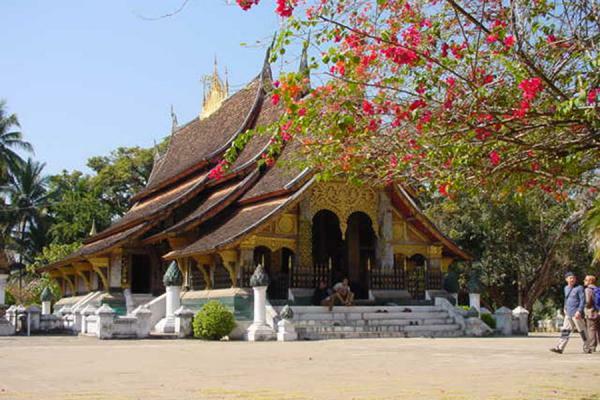 Xieng Thong Temple in Luang Prabang province has won an Award of Merit, one of 12 announced last week under the 2015 Unesco Asia-Pacific Heritage Award scheme. 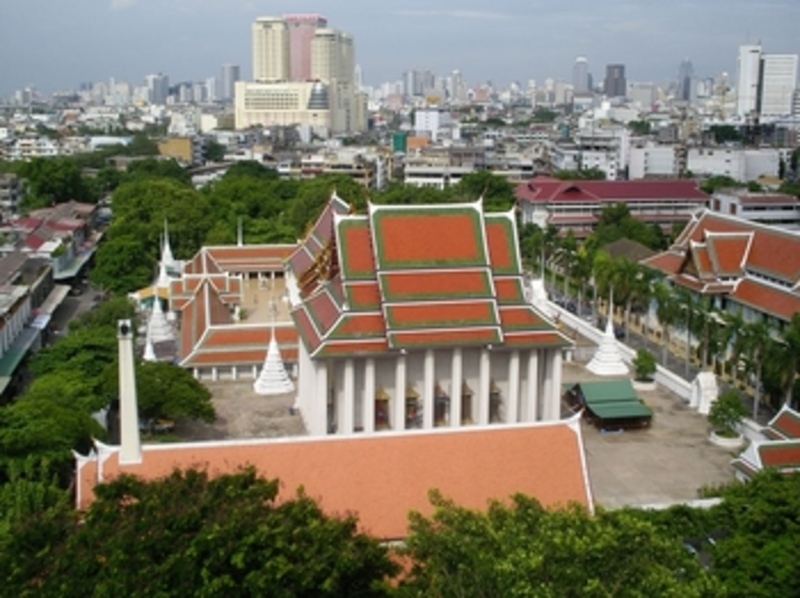 According to the official announcement published on http://www.UnescoBKK.org on September 1, 12 winning projects in five countries, – India, China, Laos, Australia and Thailand – have been recognised in this year’s Heritage Awards. 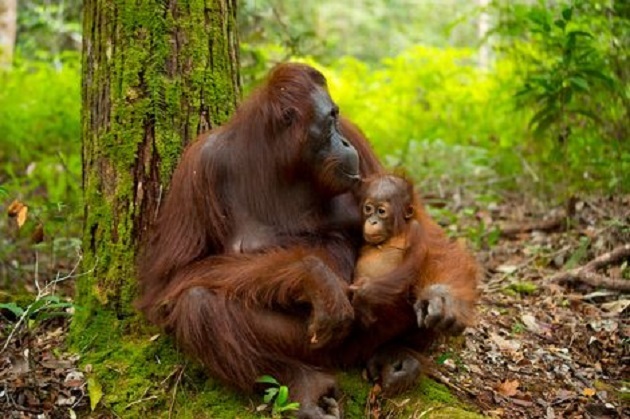 A panel of international conservation experts met in June to review 36 entries from across the Asia-Pacific region. The Cangdong Heritage Education Centre, Kaiping City, Guangdong province, and Pingyao Courtyard House, Shanxi province in China as well as Baan Luang Rajamaitri, Muang district, Chantaburi province in Thailand, also received the Award of Merit. Conservation of the Sree Vadakkunnathan Temple in Kerala, India, received the Award of Excellence in this year’s Unesco Asia-Pacific Awards for Cultural Heritage Conservation. 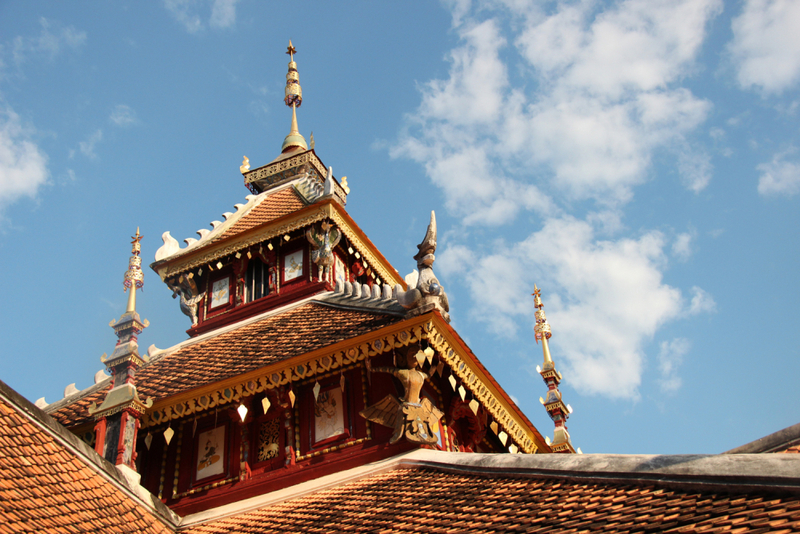 The Award of Merit for the conservation of the exceptionally ornate Xieng Thong Temple has safeguarded the jewel of Luang Prabang architecture and Laos’ most significant landmark. 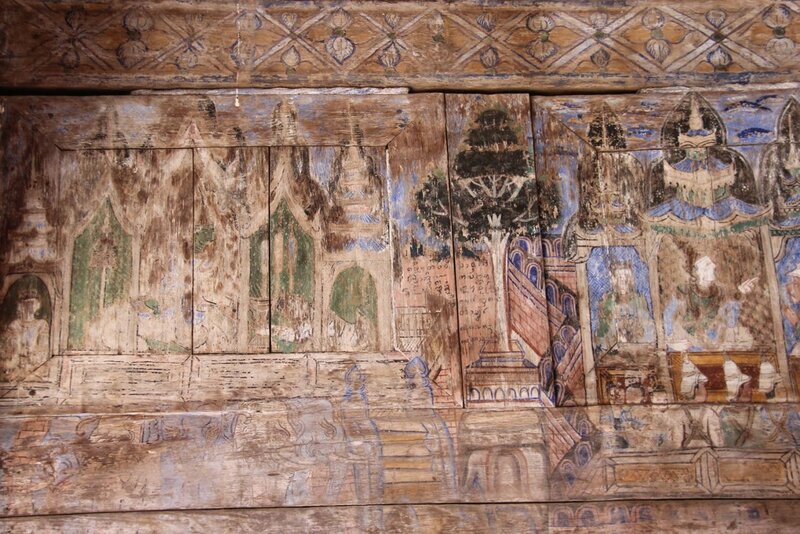 Undertaken within the framework of technical standards set by the Luang Prabang Department of World Heritage, the project is to be commended for its systematic conservation planning and execution. The involvement of trained monk artisans in producing the traditional decorative works represents a noteworthy revival of an age-old practice of sustaining Buddhist temples. The major initiative has arrested the temple complex’s slow physical decay and reversed previous inappropriate conservation efforts, improving the condition of both the ritual buildings and the monks’ quarters. By combining grassroots efforts with donor support, the project epitomises the spirit of World Heritage in promoting international cooperation for protecting the world’s most iconic heritage places. 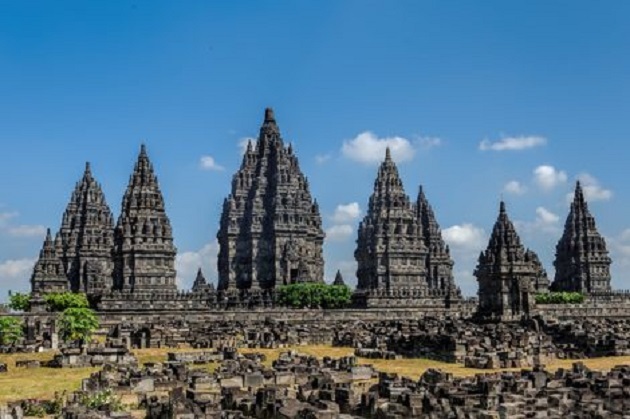 The Unesco Asia-Pacific Awards for Cultural Heritage Conservation programme recognises the efforts |of private individuals and organisations that have successfully |restored and conserved structures and buildings of heritage value in the region. Earlier this year, the Luang Prabang World Heritage Site scooped “Best City” in the Wanderlust Travel Awards 2015, with Bagan in Myanmar taking second place and Stockholm in Sweden coming in third. 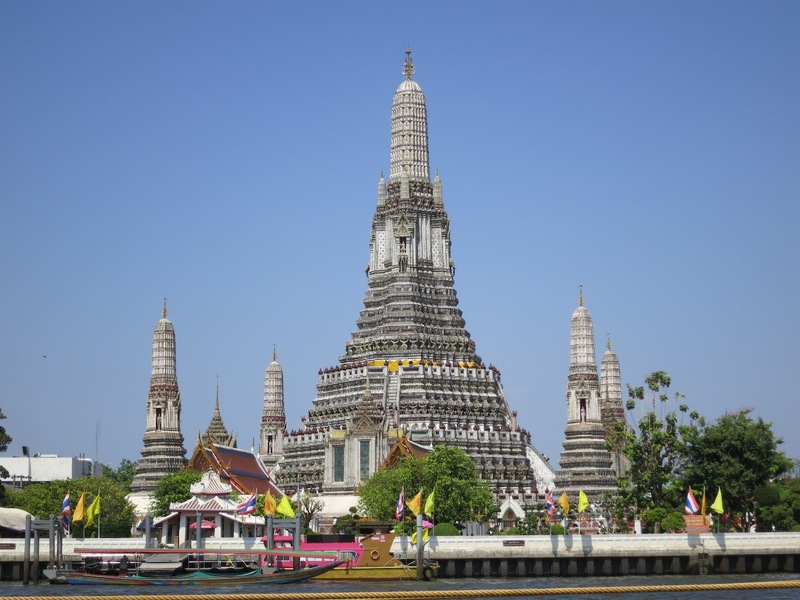 There are a total of 40,717 Buddhist temples (Thai: Wat) in Thailand as of 31 December 2004, of which 33,902 are in current use, according to the Office of National Buddhism. Of the 33,902 active temples, 31,890 are of the Maha Nikaya and 1,987 are of the Dhammayuttika Nikaya orders of the Theravada school, while 12 are of the Chinese Nikaya and 13 are of the Anam Nikaya orders of the Mahayana school. Two hundred and seventy-two temples, 217 of the Maha Nikaya order and 55 of the Dhammayut order, hold the status of royal temple. Royal wisungkhamasima (Pali: visuṃ gāmasīmā), official recognition of a temple’s legitimacy, has been granted to 20,281 temples. The exemption is part of an agreement on visa waiver between Thailand and Myanmar. 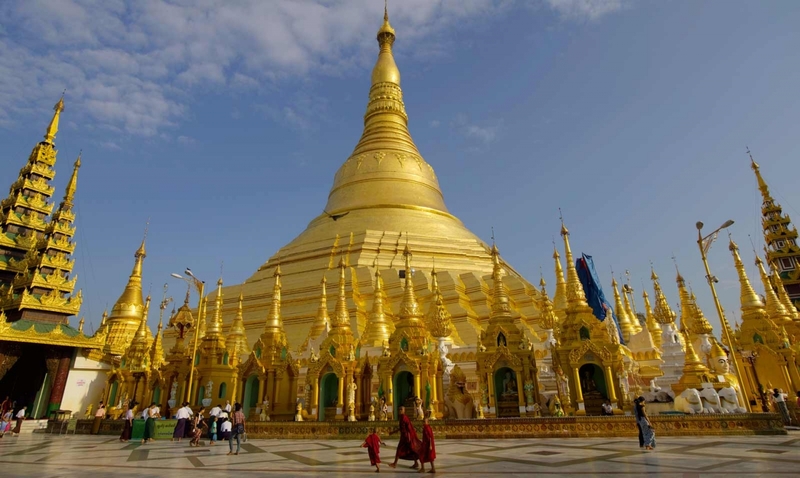 Thai passport holders can now travel in Myanmar without a visa for 14 days provided they enter Myanmar through Yangon, Mandalay or Naypyidaw airports. The exemption is part of an agreement on visa waiver between Thailand and Myanmar. Thais wanting to enter Myanmar at other international checkpoints must have a valid visa. For more information, call the embassy at (02) 233 2237. Low cost Thai airline Nok Air has launched its new “Nok Premium Seat”, a programme that’s designed to make passengers feel more comfortable, private and special. Costing Bt240 more than the usual air ticket, Nok Premium Seat promises the passengers comfortable seats in front rows from seat numbers 31 to 35 and 44 to 45. Sofitel So Bangkok’s Chocolab releases its debut designer chocolate collection “I SO BK” with 17bites of heaven especially designed by renowned Bangkok-based fashion label Tawn C. Each of the 17 designer treats will be individually filled with Chocolab’s signature chocolate fillings, including goji berry, orange yuzu, crunchy hazelnut, jasmine, salted caramel, honey comb, white peach and matcha. Find out more at (02) 624 0000 or email: h6835-fb3@sofitel.com. Bhumibol Dam International Mountain Bike Championship returns to Tak province from August 28 to 30. This annual tournament aims to promote the province as a mountain bike destination and features competitions ranging from 12-kilometre leisure cycling to a 60-kilometre international race. Live music, cultural performances, a classic bicycle show and fun activities add colour to the competition. 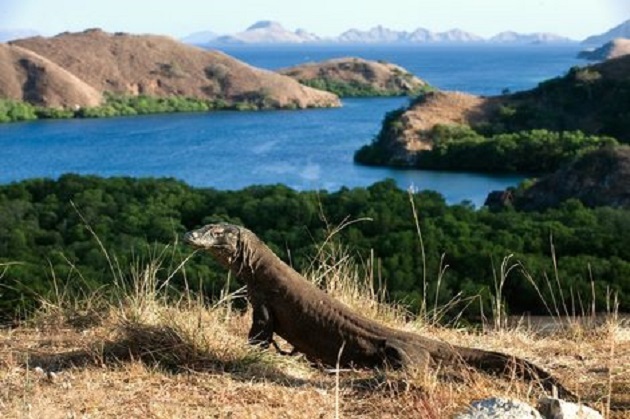 Call the local tourism organisation at (055) 549 509.